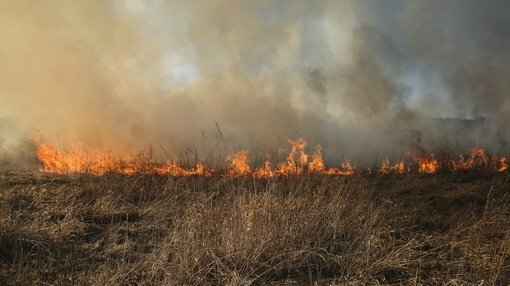 This week, the CEO of the Bureau of Meteorology linked climate change with Australia’s increasing fire risk — which has seen up to 200 fires burning at the one time in QLD in the past week or so — and warned that the fire risk in the state is set to intensify. Reports from a few days ago stated that 100 blazes were still burning across QLD. This follows insurer IAG’s warning last week that increased intensity and frequency of extreme weather events in Australia is consistent with climate scientists’ predictions that these will only become more extreme and frequent as temperatures rise. The warning was delivered by IAG’s ‘executive manager of natural perils’, Mark Leplastrier, and was clearly intended to give extra weight to the hundreds of bushfires in QLD and the simultaneous extreme rain event in NSW. Earlier in November, IAG announced that climate change would make the world “pretty much uninsurable”. The bad news continues, with official data released at the end of November showing that Australia’s greenhouse gas emissions increased in the June quarter at the fastest rate in seven years. It is certainly having a negative effect on Australian politics. Commentators are noting that climate change may be the issue that proves fatally catastrophic to the Liberal Party, given the divided views within the party itself and across its voter base, with increasingly heated calls from the public to take urgent action. 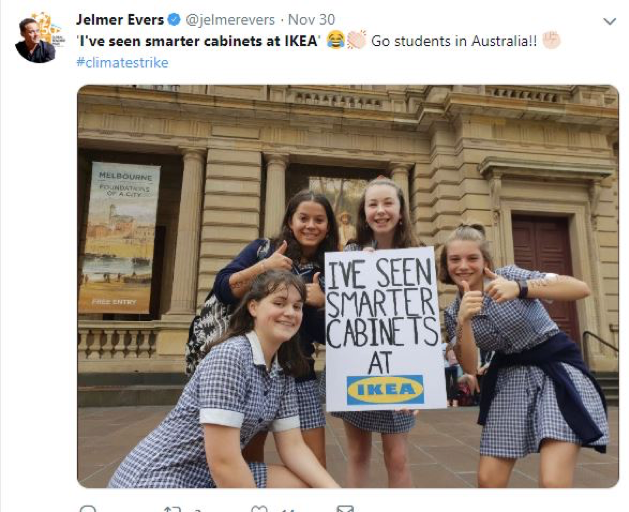 That includes the thousands of schoolchildren from Melbourne, Sydney, Brisbane, Perth, Coffs Harbour, Bendigo and other cities, who forewent school last week in order to protest the Morrison government’s lack of action on climate change in the lead up to the election. Australian schoolchildren protesting for action on climate change. Climate change is the issue of the moment, particularly in Australia — and green energy is a key component of the current debate. The much-debated and highly controversial Adani mine has sparked numerous protests across the country, but recently received the green light for a scaled down $2 billion coal mine in central QLD. While this has environmental groups extremely worried, several MPs have noted their doubt about whether the Indian company will be able to secure loans for the mine — with banks’ unwillingness to tempt the public backlash if they help get the mine get off (or, rather, into) the ground. If the mine goes ahead, there’s also the issue of whether Adani would become a ‘stranded asset’, given the world’s transition away from fossil fuels; and a change of government in May could dramatically impact Adani’s prospects. Given the widening gap between MPs keen to tackle climate change, and those preferring to ignore or even work against carbon emissions goals, a change of government could have a considerable impact on many companies beyond Adani. It seems a change in government is most certainly on the cards, with the latest Guardian Essential poll showing Labor’s two-party-preferred lead over the government blowing out further, to 54%. It’s being made worse for the current sitting party as a number of members have resigned, defected — or flag a future intention to leave — since the NLP’s landslide loss in the Victorian state elections. So how are some of the green energy small-caps faring amid all this climate change policy uncertainty? Perhaps not surprisingly, several are well and truly on struggle street. Poor old Carnegie Energy (ASX:CCE) is down a further 25% since it was last featured in the Green Keeper. The problem continues to be funding for its high-profile Albany Wave Energy Project in WA. The most pressing concern relates to the government’s R&D tax incentives changes, but matters were certainly not helped last week when Tag Pacific Ltd (ASX:TAG) announced that its proposed purchase of CCE’s Energy Made Clean business would not go ahead. Genex Power Power Ltd (ASX:GNX) has also seen its share price deflate by ~15% since its early-October peak of $0.29. YTD things look even worse, with the share price having declined ~33% in total. A third green energy ASX small cap, Infigen (ASX:IFN), was feeling enthusiastic earlier in the year, and even flagged the potential return of dividends in August. But the share price has decreased 29% since the beginning of August, and given its latest Production and Revenue Report — showing production generated was down 3%, production sold was down 2%, and net revenue was down 9% — the case for the return of dividends is not looking good.